Nurettin Aytuğ, the manager of the Erbil branch of the government-closed Bank Asya who has been under arrest over a year, has developed psychological disorders in prison, according to his family. Aytuğ’s family members told Stockholm Center for Freedom (SCF) that he has developed psychological disorders amid fears of being killed after months of seclusion in a prison cell. According to SCF, Aytuğ was abducted by unidentified men and whisked away to Turkey while he and his family were planning to board a plane in the Kurdish city of Erbil bound for Sweden in early August, 2016. “He was quickly turned over to Turkish authorities at the Habur Border Gate on the Turkish-Iraqi border by unknown people. Turkish media originally reported that Interpol was involved in his extradition but later this report was turned out to be false. 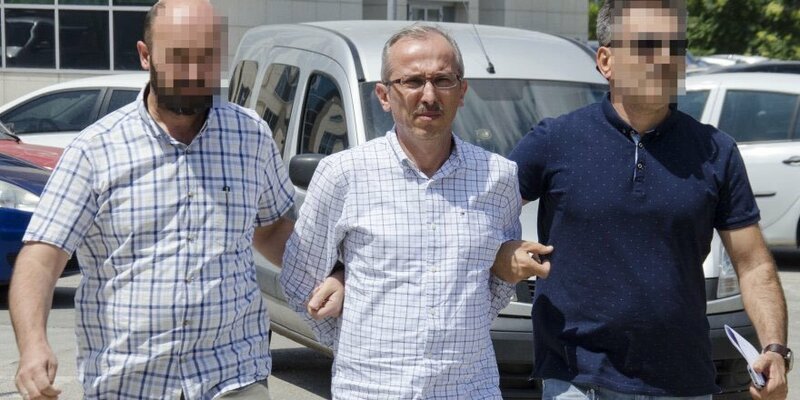 According to a story appeared on Milat daily that quoted Rudaw, Col. Birzo Mohammed of Kurdistan Interpol, said they had nothing to do with the extradition of Aytuğ,” SCF said. Aytuğ was labeled in the Turkish media as the Iraq imam of the Gülen movement when he was first arrested. The former banker has been held in solitary confinement in an Izmir prison since last year. Turkish government accuses the Gülen movement of masterminding the July 15, 2016 coup attempt while the latter denies involvement. More than 120,000 people were detained over links to the movement at home while President Recep Tayyip Erdoğan has called on foreign governments to punish Gülen followers in their own countries. A number of Gülen followers have been deported to Turkey where they were later locked up in prison since. Earlier, Islamic lender Bank Asya was also confiscated by the government over similar charges.